Heavy Psych Sounds present a reissue of Brant Bjork's Keep Your Cool, originally released in 2003. Keep Your Coolmarks itself as easily one of Brant Bjork's most accessible and catchiest album. A direct continuation of the raw, straight-to-the-point rocker that was the Brant Bjork and The Operators record (2002), it also brings back some of the more relaxed, levitating aura of Jalamanta (1999) resulting into a best-of-both worlds scenario. Starting out with funky guitar rhythms and congas "Hey, Monkey Boy" is a short and entertaining opener that sets up the stage to the other tracks. The songwriting for the most part is as about simple as it can get, with mid-paced, often blues/funk influenced riffs leading them, accompanied with Bjork's relaxed, swagger-filled vocals. But don't mistake this for laziness because these are well-written and effective riffs that are delivered with crystal clear precision. Thus, with songs "Johnny Called" or "Gonna Make The Scene", Brant proves that you don't have to go for ten+ minute long, abstract feedback-driven jamming to deliver good stoner rock. A good head-banger, a soulful ballad, a relaxing, acoustic guitar piece: Keep Your Cool has all of them. Not to mention sweet guitar licks, a beefy production and a great, positive vibe that oozes from the '70s and weed (especially in the Cream-like "I Miss My Chick"). With eight songs and 33 minutes it's short, sweet, delivers the punch and keeps up its replay value high. 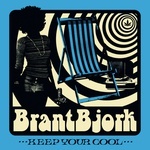 Keep Your Cool is like every Brant Bjork record: The honest sound and music of a dude that you would want to hang out and party with. LP version. Heavy Psych Sounds present a reissue of Brant Bjork's Keep Your Cool, originally released in 2003. Keep Your Coolmarks itself as easily one of Brant Bjork's most accessible and catchiest album. A direct continuation of the raw, straight-to-the-point rocker that was the Brant Bjork and The Operators record (2002), it also brings back some of the more relaxed, levitating aura of Jalamanta (1999) resulting into a best-of-both worlds scenario. Starting out with funky guitar rhythms and congas "Hey, Monkey Boy" is a short and entertaining opener that sets up the stage to the other tracks. The songwriting for the most part is as about simple as it can get, with mid-paced, often blues/funk influenced riffs leading them, accompanied with Bjork's relaxed, swagger-filled vocals. But don't mistake this for laziness because these are well-written and effective riffs that are delivered with crystal clear precision. Thus, with songs "Johnny Called" or "Gonna Make The Scene", Brant proves that you don't have to go for ten+ minute long, abstract feedback-driven jamming to deliver good stoner rock. A good head-banger, a soulful ballad, a relaxing, acoustic guitar piece: Keep Your Cool has all of them. Not to mention sweet guitar licks, a beefy production and a great, positive vibe that oozes from the '70s and weed (especially in the Cream-like "I Miss My Chick"). With eight songs and 33 minutes it's short, sweet, delivers the punch and keeps up its replay value high. Keep Your Cool is like every Brant Bjork record: The honest sound and music of a dude that you would want to hang out and party with. LP version. Limited edition marbled vinyl. Heavy Psych Sounds present a reissue of Brant Bjork's Keep Your Cool, originally released in 2003. Keep Your Coolmarks itself as easily one of Brant Bjork's most accessible and catchiest album. A direct continuation of the raw, straight-to-the-point rocker that was the Brant Bjork and The Operators record (2002), it also brings back some of the more relaxed, levitating aura of Jalamanta (1999) resulting into a best-of-both worlds scenario. Starting out with funky guitar rhythms and congas "Hey, Monkey Boy" is a short and entertaining opener that sets up the stage to the other tracks. The songwriting for the most part is as about simple as it can get, with mid-paced, often blues/funk influenced riffs leading them, accompanied with Bjork's relaxed, swagger-filled vocals. But don't mistake this for laziness because these are well-written and effective riffs that are delivered with crystal clear precision. Thus, with songs "Johnny Called" or "Gonna Make The Scene", Brant proves that you don't have to go for ten+ minute long, abstract feedback-driven jamming to deliver good stoner rock. A good head-banger, a soulful ballad, a relaxing, acoustic guitar piece: Keep Your Cool has all of them. Not to mention sweet guitar licks, a beefy production and a great, positive vibe that oozes from the '70s and weed (especially in the Cream-like "I Miss My Chick"). With eight songs and 33 minutes it's short, sweet, delivers the punch and keeps up its replay value high. Keep Your Cool is like every Brant Bjork record: The honest sound and music of a dude that you would want to hang out and party with. Brant Bjork on Jacoozzi: "Back in December of 2010, I went into a house in Joshua Tree California to record another solo record. About four days into the sessions, I decided to abandon the eight songs I was working on, told my long-time friend and engineer, Tony Mason, to start rolling tape and I proceeded to play drums in my natural improv style. After multiple drum track performances were captured, I then started layering guitars, bass, and percussion in the same improvisational spirit. I essentially decided to 'jam' by myself for the rest of my scheduled sessions. When the recording session had finally come to an end, I put the eight unfinished tracks on the 'shelf' as well as my 'solo jam session' tracks. I was much more content with the 'jam' tracks as it was a creative release that was needed at that time. I decided to call the collective tracks, Jacoozzi. At the time, it reminded me of the feeling of my first solo recording sessions for my first solo release, Jalamanta... only more 'free'. At that time in 2010, I had no formal plans to release any of the music from those sessions... Jacoozzi included." LP version. Limited edition splatter vinyl. 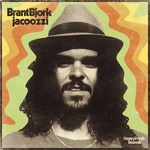 Brant Bjork on Jacoozzi: "Back in December of 2010, I went into a house in Joshua Tree California to record another solo record. About four days into the sessions, I decided to abandon the eight songs I was working on, told my long-time friend and engineer, Tony Mason, to start rolling tape and I proceeded to play drums in my natural improv style. After multiple drum track performances were captured, I then started layering guitars, bass, and percussion in the same improvisational spirit. I essentially decided to 'jam' by myself for the rest of my scheduled sessions. When the recording session had finally come to an end, I put the eight unfinished tracks on the 'shelf' as well as my 'solo jam session' tracks. I was much more content with the 'jam' tracks as it was a creative release that was needed at that time. I decided to call the collective tracks, Jacoozzi. At the time, it reminded me of the feeling of my first solo recording sessions for my first solo release, Jalamanta... only more 'free'. At that time in 2010, I had no formal plans to release any of the music from those sessions... Jacoozzi included." Heavy Psych Sounds present a reissue of Brant Bjork's Local Angel, originally released in 2004. 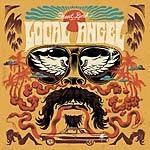 Local Angel is the fourth solo album by desert rock musician Brant Bjork. It is considered his most intimate and laidback record, mixing acoustic guitars and simple melodies. Produced by Brant Bjork and Tony Mason. Engineered by Tony Mason. Recorded and mixed at Rancho de la Luna, February 6-15 of 2004. Mastered by Mathias Cornelius von Schneeberger at Donnor & Blitzen. All songs and music written, arranged, and performed by Brant Bjork. Front cover angel by www.mistercartoon.com. Layout Bunker/Bjork for Dunart. New reissue art by Maarten Donders. LP version. Heavy Psych Sounds present a reissue of Brant Bjork's Local Angel, originally released in 2004. Local Angel is the fourth solo album by desert rock musician Brant Bjork. It is considered his most intimate and laidback record, mixing acoustic guitars and simple melodies. Produced by Brant Bjork and Tony Mason. Engineered by Tony Mason. Recorded and mixed at Rancho de la Luna, February 6-15 of 2004. Mastered by Mathias Cornelius von Schneeberger at Donnor & Blitzen. 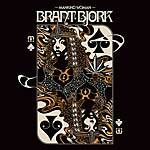 All songs and music written, arranged, and performed by Brant Bjork. Front cover angel by www.mistercartoon.com. Layout Bunker/Bjork for Dunart. New reissue art by Maarten Donders. LP version. Limited edition blue and orange vinyl. Heavy Psych Sounds present a reissue of Brant Bjork's Local Angel, originally released in 2004. 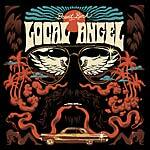 Local Angel is the fourth solo album by desert rock musician Brant Bjork. It is considered his most intimate and laidback record, mixing acoustic guitars and simple melodies. Produced by Brant Bjork and Tony Mason. Engineered by Tony Mason. Recorded and mixed at Rancho de la Luna, February 6-15 of 2004. Mastered by Mathias Cornelius von Schneeberger at Donnor & Blitzen. All songs and music written, arranged, and performed by Brant Bjork. Front cover angel by www.mistercartoon.com. Layout Bunker/Bjork for Dunart. New reissue art by Maarten Donders. Heavy Psych Sounds present a reissue of Brant Bjork's Tres Dias, originally released in 2005. 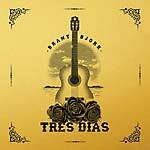 Tres Dias is the fifth solo album released from desert rock musician Brant Bjork. The album was recorded in Joshua Tree, California, USA, before Christmas of 2006. The eight track album is a mix of old and new tracks. The album was produced, recorded, and mixed in tres dias by Tony Mason at Back of the Moon Studios, Joshua Tree, CA. All songs by Brant Bjork 2007 Dune Boogie Tunez BMI. Original Art by Bunker/Bjork. New reissue srt by Marcello "Rise Above" Crescenzi. Brant Bjork on the recording: "Some days I just like to sit outside under the sun with my guitar and sing my songs to myself. It relaxes me. It also reminds me of what my songs are about... went to Tony's house when I got back to the desert last October... put up a mic and rolled tape. It took three days to make this recording... so we naturally called it Tres Dias. Dig it." LP version. Heavy Psych Sounds present a reissue of Brant Bjork's Tres Dias, originally released in 2005. Tres Dias is the fifth solo album released from desert rock musician Brant Bjork. The album was recorded in Joshua Tree, California, USA, before Christmas of 2006. The eight track album is a mix of old and new tracks. The album was produced, recorded, and mixed in tres dias by Tony Mason at Back of the Moon Studios, Joshua Tree, CA. All songs by Brant Bjork 2007 Dune Boogie Tunez BMI. Original Art by Bunker/Bjork. New reissue srt by Marcello "Rise Above" Crescenzi. Brant Bjork on the recording: "Some days I just like to sit outside under the sun with my guitar and sing my songs to myself. It relaxes me. It also reminds me of what my songs are about... went to Tony's house when I got back to the desert last October... put up a mic and rolled tape. It took three days to make this recording... so we naturally called it Tres Dias. Dig it." LP version. Limited edition gold vinyl. Heavy Psych Sounds present a reissue of Brant Bjork's Tres Dias, originally released in 2005. Tres Dias is the fifth solo album released from desert rock musician Brant Bjork. The album was recorded in Joshua Tree, California, USA, before Christmas of 2006. The eight track album is a mix of old and new tracks. The album was produced, recorded, and mixed in tres dias by Tony Mason at Back of the Moon Studios, Joshua Tree, CA. All songs by Brant Bjork 2007 Dune Boogie Tunez BMI. Original Art by Bunker/Bjork. New reissue srt by Marcello "Rise Above" Crescenzi. Brant Bjork on the recording: "Some days I just like to sit outside under the sun with my guitar and sing my songs to myself. It relaxes me. It also reminds me of what my songs are about... went to Tony's house when I got back to the desert last October... put up a mic and rolled tape. It took three days to make this recording... so we naturally called it Tres Dias. Dig it." LP version. Limited edition multi-color splatter vinyl. Mankind Woman is the thirteenth solo record by Brant Bjork. Although this is indeed a Brant Bjork record it is the first record Brant Bjork solely collaborates with a producer and co-writer, his LowDesertPunkBand guitarist and friend, Bubba Dupree. Only Brant and Bubba wrote and performed the music along with guest appearances by bass player Armand Secco Sabal, Nick Oliveri, and vocalist Sean Wheeler who has been a touring member of the LowDesertPunkBand. In March of 2018, the recording took place at Zainaland, a creative Villa owned by Brant Bjork's wife, Zaina Alwan, in the California desert town of 29 Palms. The record was recorded and engineered by Yosef Sanborn who also owns and operates Massive FX pedals in Los Angeles. Multiple pedals designed by Yosef were used by Brant and Bubba for this record. Additional tracks were recorded by Bubba Dupree at Brant Bjork's home studio in Venice beach California. Brant Bjork and Bubba Dupree describe the sound of Mankind Woman as modern classic. It is evidently clear that both Brant and Bubba specialize in the craft of the sound and feel of the music spawned in the '60s and '70s and this record is undoubtedly a testament to this great era of song and sound, however the intention was not to try to recapture or mimic in retro terms these influences but to strive for a contemporary quality. Brant Bjork might have gone deeper in the lyrics than on any record before. Focusing on personal sensitivities, elite hypocrisies, racism, sexism, and the daily struggle to find peace, love, and understanding in today's American society. Once again, Brant Bjork makes here a record that reminds the listener that it was the ingredients of jazz, blues, and funk that makes rock music taste so good.